The Hope Academy Way details our teaching philosophy. We are grateful to the Temple of Israel for providing an interim home for many of our classes at their educational facility at 400 Spring Forest Road, Greenville, SC 29615. Hope Academy has received the Best in the Upstate for Private Schools award from the Greenville News readers. Instilling a love of learning is critical to the Hope Academy philosophy. Our administrators and teachers know and appreciate each student as an individual. We purposefully find ways to enjoy the process of learning, incorporating movement, conversation, and laughter throughout the school day. We carefully provide a nurturing environment in which children learn for understanding rather than for test-taking. We emphasize the goal of fluency instead of focusing on a grade. Our faculty takes the time to develop strategies that emphasize each child’s individual skills and natural aptitudes. Working together, Hope Academy’s families, faculty, and administration create a supportive and stimulating educational environment for each child. Open classrooms allow families to share in the learning process. An open-door administrative philosophy promotes family involvement and input. As an independent nondenominational school, Hope Academy puts people ahead of policies. Within established guidelines and procedures, we seek creative strategies. As administrators and teachers, we strive to model respectful, cooperative problem-solving. Respectful debate and discussion are encouraged at Hope Academy, enabling students to appreciate different approaches and viewpoints. Hands-on learning and theme-based projects promote creativity and independence. The South Carolina Curriculum Standards serve as our baseline for learning. However, we do not restrict teaching to those prescribed units. Classroom curriculum is not dictated by standardized testing, although we do administer standardized testing. Those results assist teachers in planning. Teachers have the freedom to share their own expertise and experiences. Additionally, we encourage each student to identify, cultivate, and share areas of personal interest and application. This philosophy permits frequent inclusion of guest speakers, field trips, and enrichment activities. Recognizing that the ability to communicate skillfully shapes lives, we provide multiple opportunities for students to develop fluency in writing and speaking. Small classes enable every child to present information to a group, fostering comfort levels in public speaking from a very early age. We embrace character development as a core subject, routinely taking the time to monitor choices of voice, words, and actions. Administrators and teachers model appropriate character skills through their daily interactions and monthly assemblies. Role-play, group discussion, and one-on-one counseling facilitate awareness of the connection between thoughts, actions, and consequences. Our goal is to assist children in developing a moral compass and self-control. 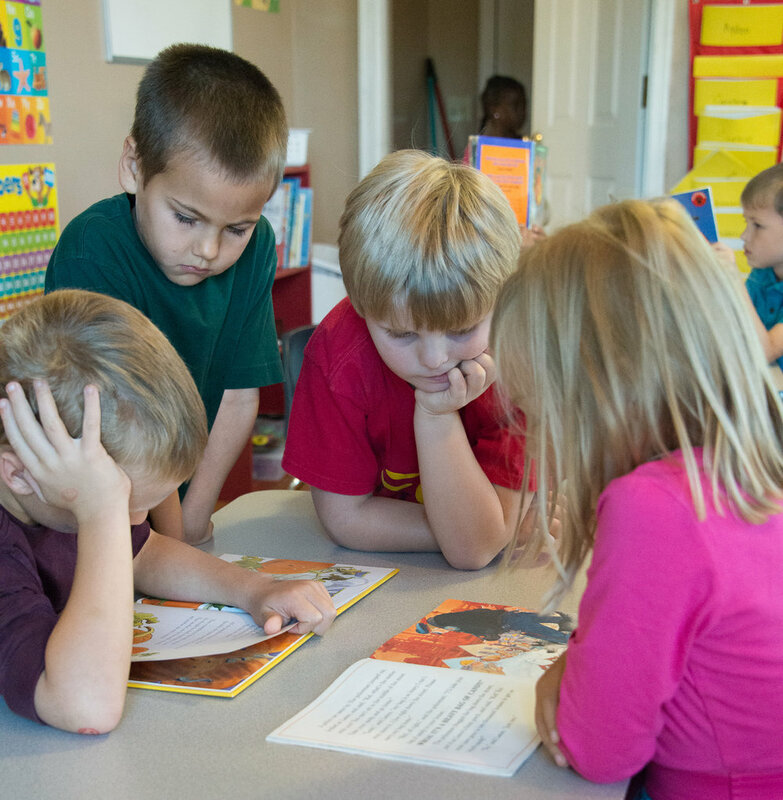 WE ALLOW EVERY CHILD TO BE BOTH SUCCESSFUL AND CHALLENGED THROUGH INDIVIDUALIZED AND SMALL GROUP LEARNING. 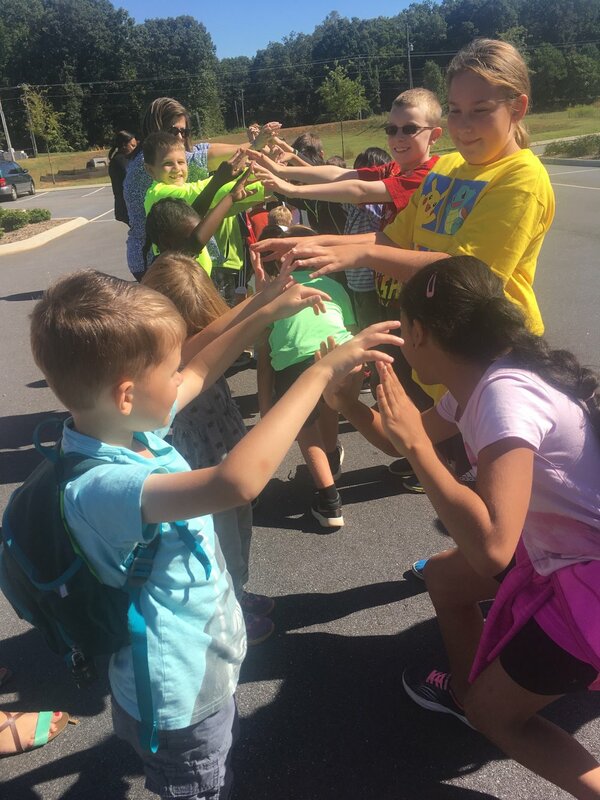 Using a multi-media approach, our faculty strives to meet each child’s academic, physical, emotional, and social needs at an individual level. Our goal is to ensure self-esteem through success and growth through challenge. WE RESPECT AND VALUE EACH MEMBER OF THE HOPE ACADEMY FAMILY. Working together, Hope Academy’s families, faculty, and administration create a supportive and stimulating educational environment for each child. Open classrooms allow families to share in the learning process. An open-door administrative philosophy promotes family involvement and input. WE FOCUS ON FINDING SOLUTIONS. As an independent school, Hope Academy puts people ahead of policies. Within established guidelines and procedures, we seek creative strategies. As administrators and teachers, we strive to model respectful, cooperative problem-solving. WE ENCOURAGE AND EXPECT INDEPENDENT THINKING. Respectful debate and discussion are encouraged at Hope Academy, enabling students to appreciate different approaches and viewpoints. Hands-on learning and theme-based projects promote creativity and independence. WE EMBRACE CHARACTER DEVELOPMENT AS A CORE SUBJECT. We routinely take the time to monitor choices of voice, words, and actions. Administrators and teachers model appropriate character skills through their daily interactions and weekly assemblies. Role-play, group discussion, and one-on-one counseling facilitate awareness of the connection between thoughts, actions, and consequences. Our goal is to assist children in developing a moral compass and self-control. WE CREATE DAILY OPPORTUNITIES FOR SELF-EXPRESSION, BOTH WRITTEN & ORAL. Recognizing that the ability to communicate skillfully shapes lives, we provide multiple opportunities for students to develop fluency in writing and speaking. Small classes enable every child to present information to a group, fostering comfort levels in public speaking from a very early age. WE RECOGNIZE THAT MISTAKES ARE ESSENTIAL TO LEARNING. We carefully provide a nurturing environment in which children learn for understanding rather than for test-taking. We emphasize the goal of fluency instead of merely focusing on a grade. Our faculty takes the time to develop strategies that emphasize each child’s individual skills and natural aptitudes. The South Carolina Curriculum Standards serve as our minimum standards. However, we do not restrict teaching to those units. Classroom curriculum is not dictated by standardized testing. Teachers have the freedom to share their own expertise and experiences. Additionally, we encourage each student to identify, cultivate, and share areas of personal interest and application. This philosophy permits frequent inclusion of guest speakers, field trips, and enrichment activities. Instilling a love of learning is critical to our philosophy. Our administrators and teachers know and appreciate each student as an individual. We purposefully find ways to enjoy the process of learning, incorporating movement, conversation, and laughter throughout the school day. WE DEMONSTRATE THAT INCLUSION BRINGS EXCITING POSSIBILITIES FOR ALL STUDENTS, FAMILIES, AND STAFF. 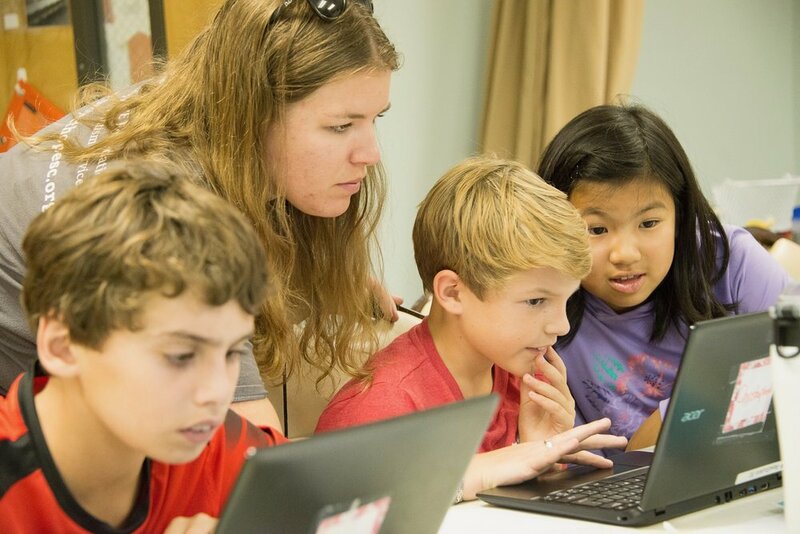 Hope Academy’s unique educational model intentionally places children with autism into classes of typical students. 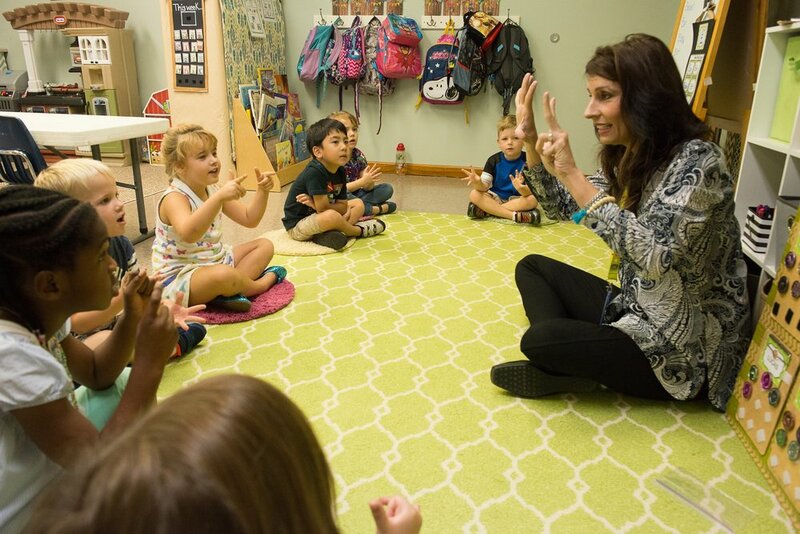 In small classes with additional staff, children with autism successfully study grade-level curriculum as they learn to interact with and imitate their typical peers. Typical children thrive in Hope Academy’s classrooms where individualization promotes unlimited growth. They gain self-esteem and problem-solving skills as they help a friend who has a different approach to life and to learning. They focus on abilities, not disabilities; see strengths, not weaknesses; accept, not fear. Since its inception, Hope Academy has used a blended age approach in its classrooms. Children have opportunities to experience a wide variety of skills, addressing both the need for extra challenge and the need for extra practice. Current full day classrooms include a K5/1st blend, a 2nd/3rd blend, and a 4th/5th blend. We use a team-teaching approach for our elementary classes. We maintain no greater than a 7:1 student-to-teacher ratio. Several class options include individualized ABA therapy as part of the school day. 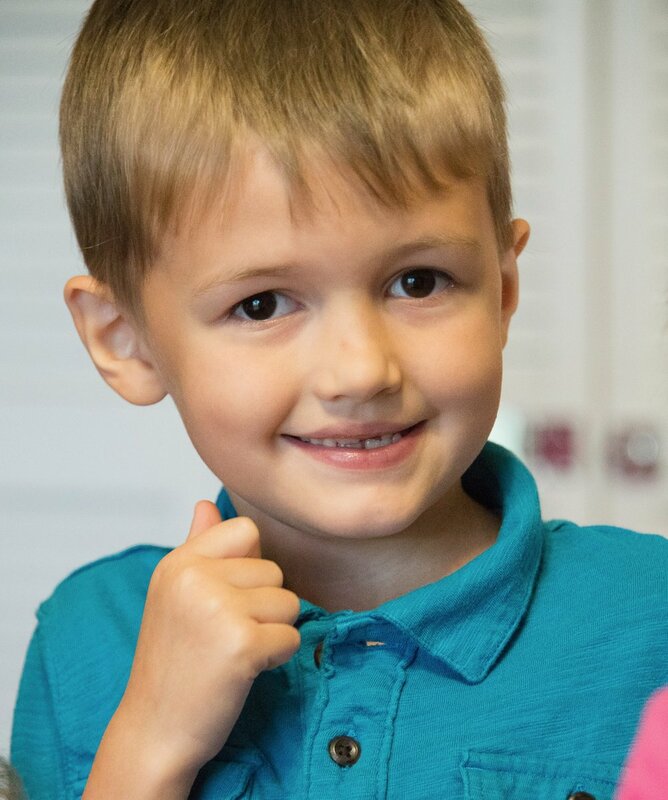 The Bridging the Gap class model (preschool through high school) provides a half-day group learning experience (with a lead teacher and a classroom Registered Behavior Technician) and a half-day of 1:1 ABA therapy. 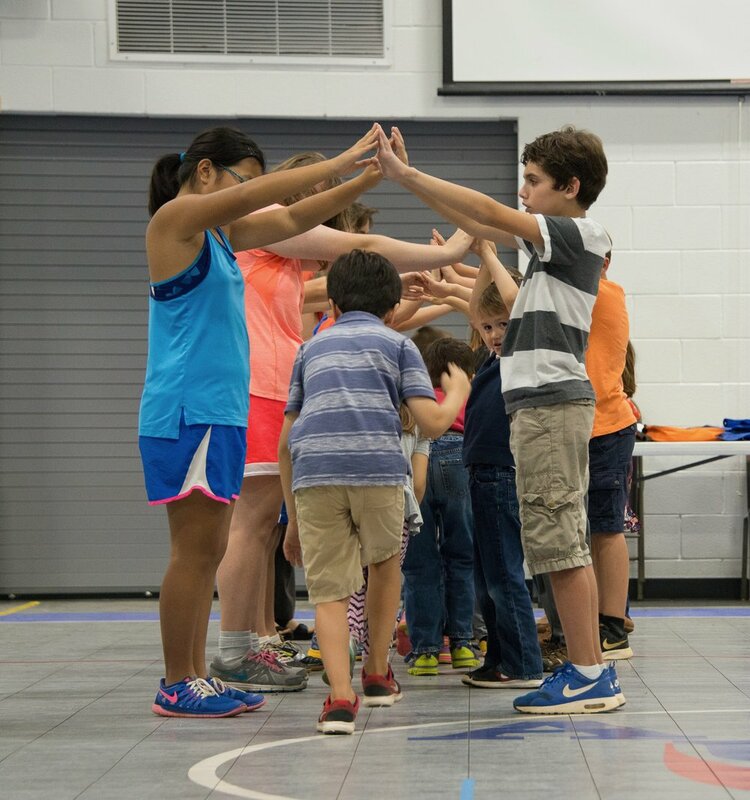 The Hope Alive Junior class model (elementary through high school) offers additional support as students focus on communication and gaining skills. If you are a Hope Reach family, referrals are made from your Supervisor. If you are a Bridging the Gap family, referrals for inclusion classrooms are made by the BTG Coordinator and your Supervisor (if receiving ABA services). If your child has an autism diagnosis but you are not yet part of the HOPE family, we welcome you to complete an interest form. However, space is limited and BTG and Hope Reach families receive priority admission as they are receiving services from Project HOPE Foundation. If you are not yet receiving ABA therapy for your child, please refer to our Hope Reach program. Click here to learn more about our Bridging the Gap program. For families who do not have an autism diagnosis, you are welcome to complete an interest form. and we will be in contact with you. You may contact us directly at 864-676-0028 for more information. As the tax year comes to a conclusion, now is the opportune time for taxpayers to do year-end tax planning and to consider the benefits of available state tax credits. South Carolina currently offers an Educational Credit for Exceptional Needs Children tax credit, a dollar-for-dollar tax credit, for individuals and corporations. Applicants are required to make a donation to Exceptional SC, a 501(c)(3) entity authorized by the South Carolina state legislature. A pool of $10,000,000 has been designated for these tax credits, given out on a first-come, first-serve basis, for tax year 2016. As of November 4th, $5,285,631 of the $10,000,000 pool had been donated. A five-person board awards tuition scholarships from this pool to qualifying exceptional needs children who attend approved private schools in the state. This information has been provided by Project Hope Foundation, Inc., a 501(c)(3) public charity located throughout upstate South Carolina, which provides a lifespan of services to the autism community, including Hope Academy, an exceptional needs school for children with autism that is located in Greenville, SC. While Project Hope does not directly benefit from your donation, we are providing this material to help facilitate full utilization of the $10,000,000 pool for this tax year. Hope Academy provides services for approximately sixty children who received these scholarships. These scholarships are vital to our ability to provide future services to the children.